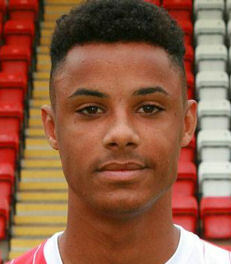 Ben Clarke signed a contract for the Harriers in April 2016 after excelling in the academy. The young midfielder is seen as very much one for the future. In November 2016 he went out on loan to Stourport Swifts and then to Halesowen Town. He was then sent out on loan to Halesowen for a further year the following season but left us in December 2017 having never made a first team appearance. It took him eight months to find a new club until he joined up with Worcester City in August 2018.